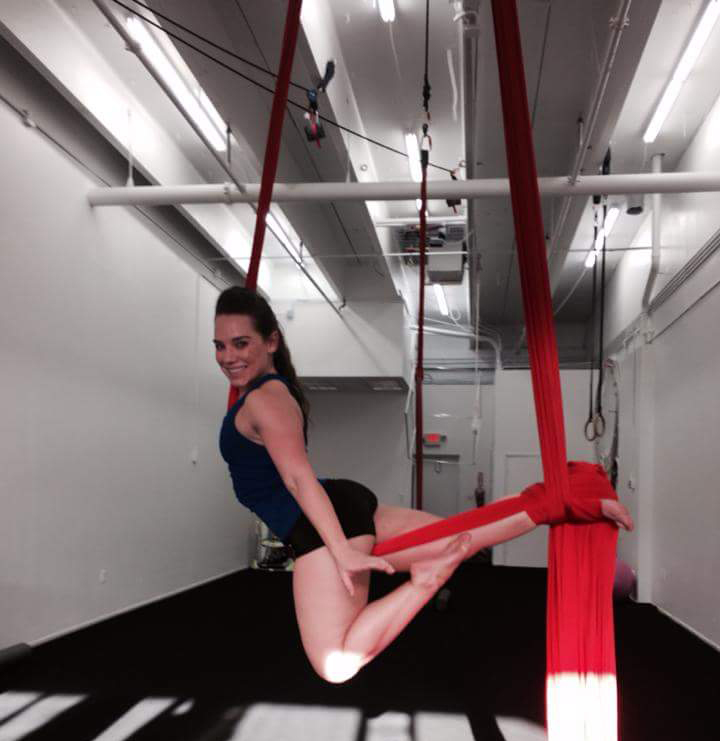 In this 90 minute class, students will learn basic fundamentals of aerial silks After a short warm up and stretch on the ground, students will be introduced to some basic exercises on silks to learn about proper muscle engagement and safety. Once everyone is warmed up, there will be the opportunity to climb to new heights and learn some beginner level tricks focusing on single foot-locks. Leggings recommended. 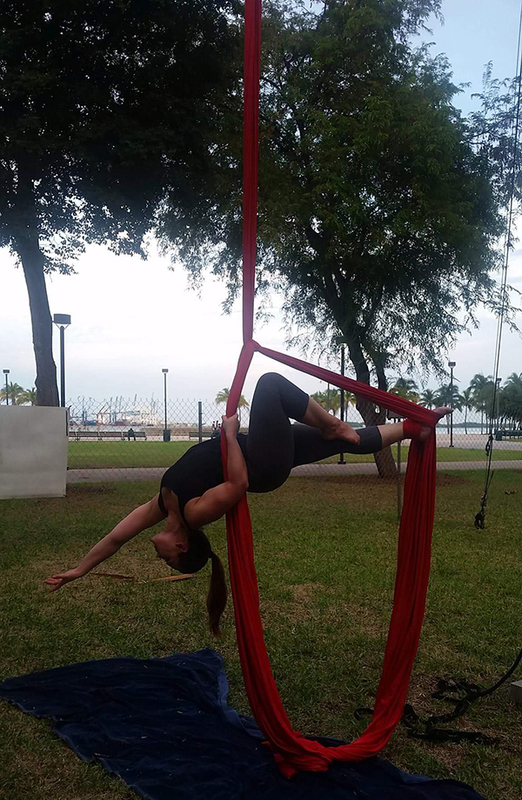 Heather has taught and performed throughout the South Florida area in a range of disciplines including aerial pole, aerial silks, lyra, and burlesque. You might have even had an opportunity to see her ‘hanging’ around one of the local Renaissance Festivals! She was a co-founder of a local burlesque troupe where she had the opportunity to choreograph and perform a number of solo and ensemble acts in a variety of dance styles. 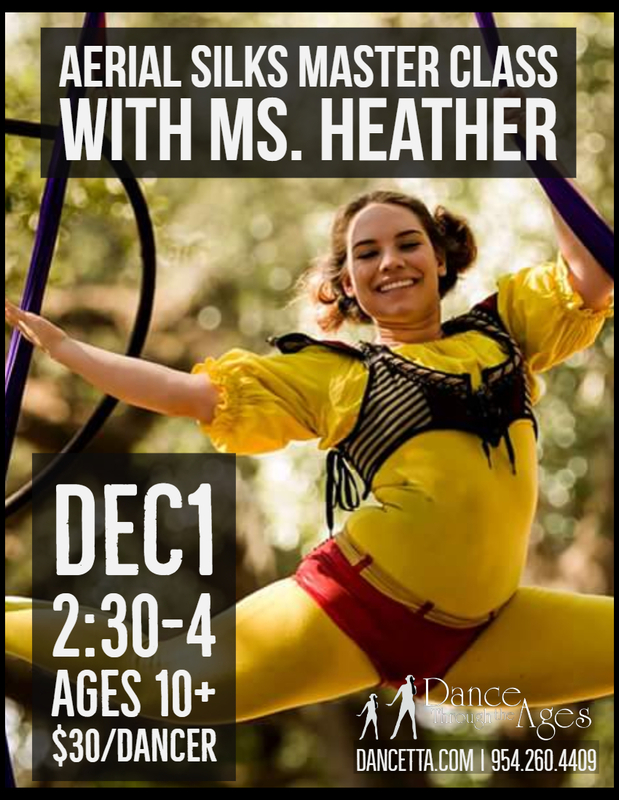 Heather is excited to share her love for dance to empower children and adults of all ages to love themselves and reach new heights!